﻿ Do you know about Data Center Cabling Basics and Classification? Data center cabling system, regardless of the way in which to implement, there are some basic principles or concerns, which should be given sufficient attention in each data center planning infrastructure. This article will show some tips and help you avoid the problems and maintenance headaches that come with improper cabling. It is not blindly complex and costly to build a high-performance network for users. Management is the most basic elements, if there is no management, the basic cabling network can only short-term to meet the needs of the data center, if you need to enhance control and management of the data center infrastructure network, then we must build a structured cabling system, to avoid exists in a A large number of difficult to identify the jumper and other components of the disorderly management of the environment. The flexibility and scalability of basic cabling allow for rapid and easy implementation without serious impact on the day-to-day operation of the data center, which reduces the risk of future use of new application technologies for changes in underlying cabling. The scalability of the data center is important for the future high bandwidth upgrades of the system and for performance expansion without interruption. It is important to focus on the various system components used to implement the network topology to effectively improve network efficiency, save time and cost. As the number and scale of data centers growing, and as the network evolves and evolves toward 40G to 100G Ethernet, the future should continue to grow at high bandwidth. Due to the predictable growth of the data center, the basic cabling network requires a simple and efficient cabling system to maximize the use of space and effectively reduce installation time and cost. For a well-planned base cabling system, consideration should be given to applications that can support 15 to 20 years and generations of network system equipment and data rate growth. The data center may consist of several floors or parts of a building or whole building. Under normal circumstances, it consists of the computer room and support space, which is the data information storage, processing, and distribution center. The core data processing equipment placed in the data center is the information center of government agencies and enterprises. 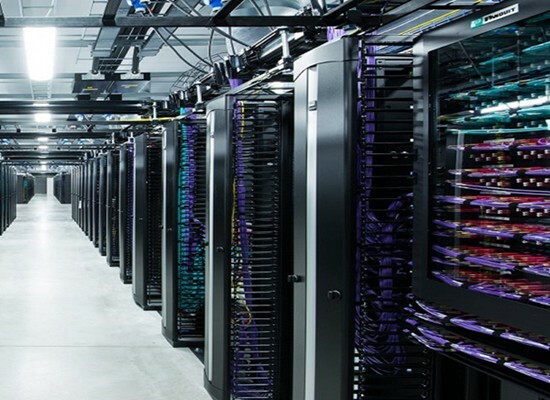 The data center is built to provide a comprehensive, centralized, proactive and effective management and optimization of the IT infrastructure to achieve a high level of manageability, availability, reliability, and scalability of information systems to ensure smooth operation of services and timely service provided. (6) With strong enough security facilities and disaster prevention facilities. The two most common types are corporate / enterprise data centers and hosting / Internet data centers. The enterprise data center is owned and operated by a company, institution or government agency with independent legal personality. These data centers provide support for their own organizations, organizations, personnel, Internet data processing and Web-oriented services. Operation and maintenance are done by the internal IT department. The hosting / Internet data center is owned and operated by telecom operators, Internet service providers, and commercial telecom operators. They provide outsourced information technology (IT) services that are accessed through an Internet connection. They provide Internet access, Web or application hosting, host hosting and managed servers and storage networks. For a complete data center, it contains various types of functional areas. Such as host area, server area, storage area, network area and control room, operator room, test room, equipment room, telecommunications room, spare parts room, office, conference room, lounge, etc. Data center cabling system is an important part of the data center network, supporting the entire network connection, interoperability and operation. The integrated wiring system is usually composed of twisted cable, optical cable, connecting device and all kinds of wiring equipment. And in the future to meet the needs of a period of time, taking into account the cost. So it is essential to ensure that the design of a data center cabling solution can accommodate future higher transmission rates. The Uptime Institute uses a somewhat mysterious four-tier ranking system as a benchmark for determining the reliability of a data center. 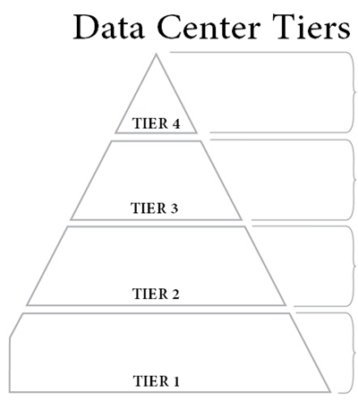 Different tiers of facilities in the data center are also different, the higher the tier of the more stringent requirements. In the definition of four different levels, including the building structure, electrical, grounding, fire protection and telecommunications infrastructure, such as the different requirements of security. Table 2 shows the availability metrics for the TIA942 standard data center level. The data center can be divided into Internet data centers and enterprise data centers (IDC and EDC) based on objects of all properties or services. (1) IDC (Internet Data Center) is the telecommunications business operators to use the existing Internet communication lines, bandwidth resources, the establishment of a standardized telecommunications professional room environment, through the Internet to provide customers with server hosting, rental and related value-added and other aspects of the whole Location service. It can provide all kinds of applications and customers large-scale, high-quality, safe and reliable professional server hosting, space rental, network wholesale bandwidth and ASP, EC and other service business services. By using IDC services, businesses or government agencies do not need to build their own specialized rooms, lay out expensive communication lines, and do not need to set up a dedicated network engineering team. (1) IDC (Internet Data Center) is the telecommunications business operators to use the existing Internet communication lines, bandwidth resources, the establishment of a standardized telecommunications professional room environment, through the Internet to provide customers with server hosting, rental and related value-added and other aspects of the whole Location service. It can provide all kinds of applications and customers large-scale, high-quality, safe and reliable professional server hosting, space rental, network wholesale bandwidth and ASP, EC and other service business services. By using IDC services, businesses or government agencies do not need to build their own specialized rooms, lay out expensive communication lines, and do not need to set up a dedicated network engineering team. (2) EDC (Enterprise Data Center) refers to the enterprise or organization built and all, the data center, which serves the enterprise or organization’s own business, is a core computing environment for enterprise data operation, storage, and exchange, which provides data processing, data access and other information, application support services for enterprises, customers and partners. At the same time, for information systems, data security, confidentiality or other special requirements of the industry or enterprises, will build their own management of the operation of the data centers, such as banks, insurance, government, large enterprises and so on.